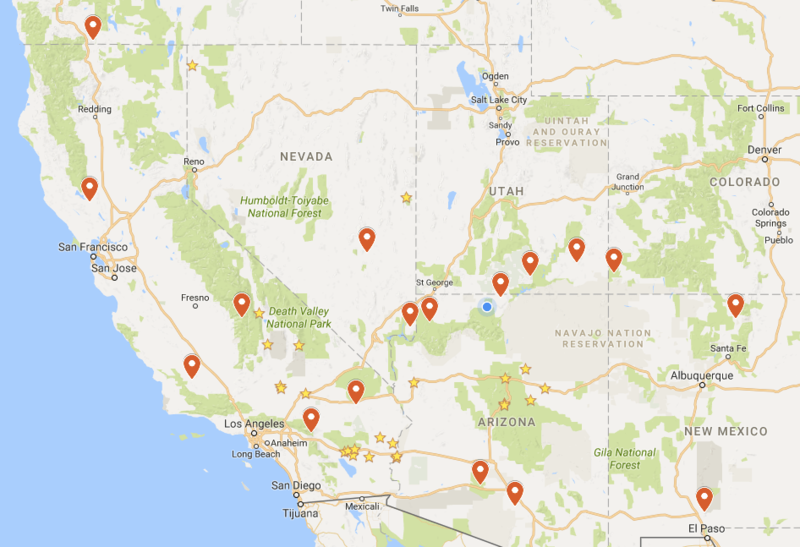 Looking at our map of Arizona and seeing all the places we have visited there we can’t help but occasionally glance one state up and see the vast amounts of public lands to explore in Utah and think that we have visited none of it. We aimed to rectify that omission. Once some new equipment arrived that would make our travels more enjoyable and productive we set about making a list of places we wanted to go explore. Right about then is when the announcement was made by the Trump administration that the U.S. Department of the Interior would conduct a review of certain National Monuments designated or expanded since 1996 under the Antiquities Act of 1906 because of an executive order (#13792) signed by Trump on April 26, 2017. Several of the National Monuments on the hit list stretch across Southern Utah and so we decided to make those our focal point. Of course, when we found ourselves in those areas there were too many National Parks and Moab to not take that opportunity to visit them as well. Since we did so much on this trip I have made this main Utah page to list all those stunning places and link to their individual posts. If something does not have a link then that post has not yet been written and posted or has not yet made it through my extensive, detail-oriented, multi-draft process to ensure I post only the highest quality written elocution, errr…blabbing, umm…words and stuff. Sooooon though. We are adding new posts weekly. Patience young grasshopper.